Serve up your favorite snacks our use it as a decorative display item in your cottage, on your boat, or your backyard or pool gathering. 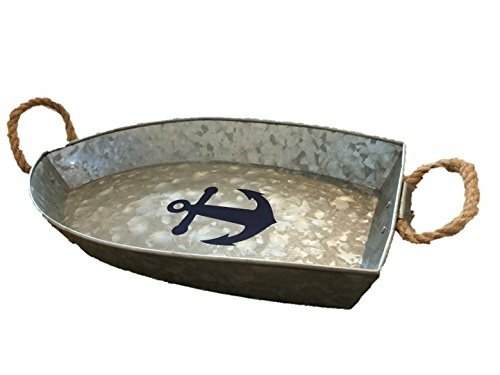 Resistant galvanized steel with rope handles will last a lifetime. If you have any questions about this product by Life Source LLC, contact us by completing and submitting the form below. If you are looking for a specif part number, please include it with your message.